Recycled Trophies is a collection of twenty collages in two states of being: starters and finishes. It is the product of Aaron Beebe and Zach Collins, two artists who have never met in person. The pair agreed to collaborate after corresponding by email. Aaron Beebe is a self-taught artist from Virginia Beach whose art making ambles between collage, screen-printing, graphic design, and short films. His compositions tend to work like snippets of a larger world, a world that extends beyond the frame of the page. Zach Collins is a Midwesterner pursing an MFA at Minneapolis College of Art and Design. 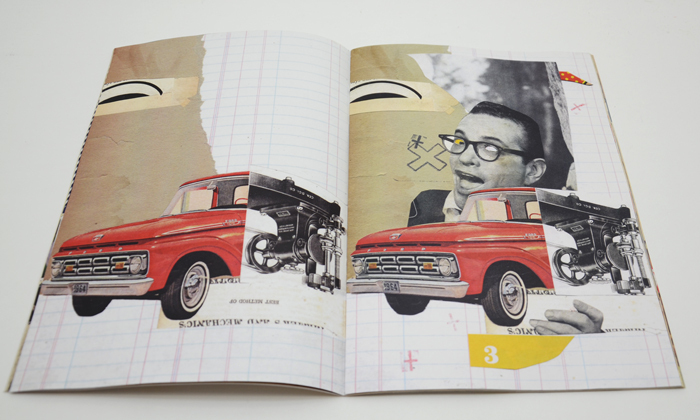 Collins’ collages are studied compositions marked by a refined restraint. Collins collaborates with many artists, over eighty to date. His Tumblr reads like a who’s who of contemporary collage makers. 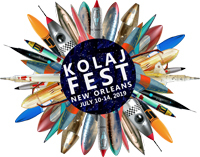 “By working this way I am learning new and different ways to visualize thoughts, feelings, and ideas, which adds to and influences my artistic way of thinking,” said Collins. When the duo began their collaboration, they decided that each would make a number of starter pieces and send them to the other to finish. No rules applied. “We could add, too, cover up, tear off elements as we saw fit to finish the collage,” explained Collins. The result is a visual conversation between two artists. If one started with a black and white photograph of a hand and the letter A, the other would finish it with the schematics of an airplane, a field of red dots and a thick red circle around the A. Abstract landscapes became figurative works. A simple chair and some ledger paper became a boy trying to avoid being swallowed by a rattlesnake. A man holding a cigar became a bear holding the number 7. And so it went. 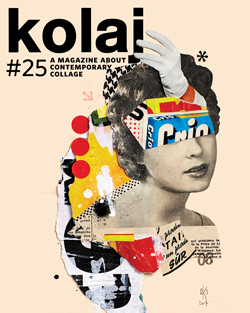 Collaboration has been integral to the practice of contemporary collage since the beginning. Georges Braque and Pablo Picasso were collaborating when they brought collage into Modern art practice. 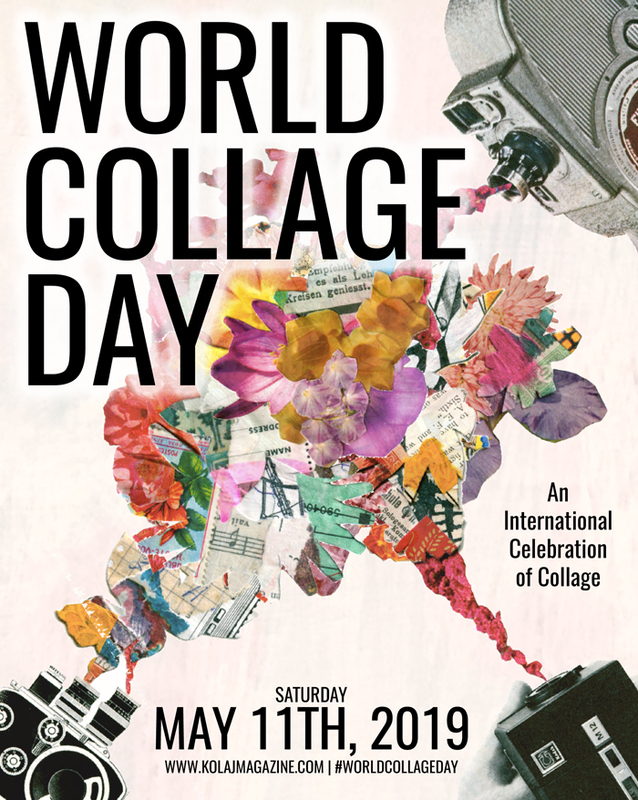 And because collage almost always uses materials made for another purpose and by another person or company, one can see a sort of collaboration taking place between the originator of the material and the artist making a collage. No other medium is as strictly concerned with the involvement of others as collage is. To collaborate on a collage is a natural expression of the medium. The Dadaists, in whose tradition Beebe and Collins are squarely working, believed art was not in the object being made but in the new reality that rose out of the act of making. The art is in the doing. Unlike Braque and Picasso, who were primarily interested in the material contributions collaged elements could contribute to paintings, the Dadaists used paper ephemera from everyday life as notes in the orchestration of a new sound. The act of cutting and pasting removed the object from its original reality and placed it in a new one. In that sense, the collaboration between Beebe and Collins takes the original thought of the starter and finishes it by changing its reality completely. In a world where things are not always what they appear to be, where truth lies somewhere in the middle of a dialogue, this is the perfect comment on contemporary life. 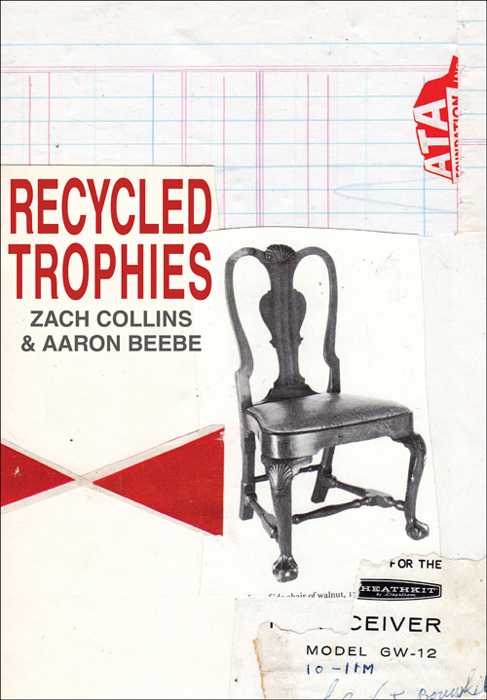 Maison Kasini published Recycled Trophies, a book of Collage Collaboration by Zach Collins and Aaron Beebe, in November 2013. Available at www.kasinihouse.com.